Area: 45,226 sq. km. (17,462 sq. mi. ); slightly smaller than New Hampshire and Vermont combined. Cities: Capital: Tallinn (2011 pop. 400,252), situated in the north of the country, on the Gulf of Finland. Other cities — university town of Tartu (103,740); the primarily Russian-speaking industrial towns of Narva (65,536) and Kohtla-Jarve (44,107) in the north-east of Estonia; Parnu on the western coast (43,966); and Viljandi in the rural south (19,880). The last population census was held in 2000. Terrain: Mostly flat, with some undulating terrain in the east and southeast, average elevation 50 m. Steep limestone banks and 1,520 islands mark the coastline. Land use — 12.05% arable land, 47.4% forest and woodland, 22% swamps and bogs, 18.55% other. Coastal waters are somewhat polluted. Climate: Temperate, with four seasons. Annual precipitation averages 50-75 cm. Nationality: Noun and adjective — Estonian(s). Annual population growth rate (2010): 0.003%. Birth rate (2010) — 11.81/1,000. Death rate (2010) — 11.78/1,000. Net migration (2010) — minus 2.6/1,000. Density — 31/sq. km. Urban dwellers — 70%. Ethnic groups: Estonians 68.8%, Russians 25.5%, Ukrainians 2.1%, Belarusians 1.2%, Finns 0.8%, other 1.6%. Religions: Evangelical Lutheran; the Estonian Apostolic Orthodox, subordinated to Constantinople; the Estonian Orthodox, subordinated to the Moscow Patriarchate; Roman Catholic; Baptist; and other. Languages (2000 census): Estonian (official) 67.3%, Russian 29.7%, other 2.3%, unknown 0.7%. Education: Years compulsory: 9. Attendance — 173,900 students at 596 schools and vocational schools, plus 69,100 university students. Literacy — 99.8%. Health: Infant mortality rate (2010): 3.3 deaths/1,000 live births. Life expectancy (2009) — 69.84 yrs. men, 80.07 yrs. women. Constitution: On June 28, 1992 Estonia ratified its constitution based on its 1938 model, offering legal continuity to the Republic of Estonia prior to Soviet occupation. Branches: Executive: president (head of state), elected indirectly every 5 years; prime minister (head of government). Legislative — Riigikogu (parliament — 101 members, 4-year term). Judicial — Supreme Court. Administrative regions (2010): 15 counties, 33 towns, and 193 municipalities. Political parties: Four parties are presently represented in the parliament: the Estonian Center Party; Estonian Reform Party; Pro Patria-Res Publica Union; and Estonian Social Democrat Party. Other parties include: the Russian Party of Estonia; Estonian Independence Party; Estonian Christian Democratic Party; Estonian United Left Party; Estonian People's Union; and the Estonian Greens. Suffrage: Universal at 18 years of age; noncitizen residents and EU citizens may vote in municipal elections; EU citizens also vote in European Parliament elections. Defense: 1.86 % of GDP. National holidays: Jan. 1 (New Year's Day), Feb. 24 (Independence Day), Good Friday, Easter Sunday, May 1 (May Day), Whitsunday, June 23 (Victory Day — anniversary of Battle of Vonnu in 1919), June 24 (Midsummer Day), Aug. 20 (Day of Restoration of Independence), Dec. 24 (Christmas Eve); Dec. 25 (Christmas Day), Dec. 26 (Boxing Day). Real GDP growth rate (2010): 3.1%. 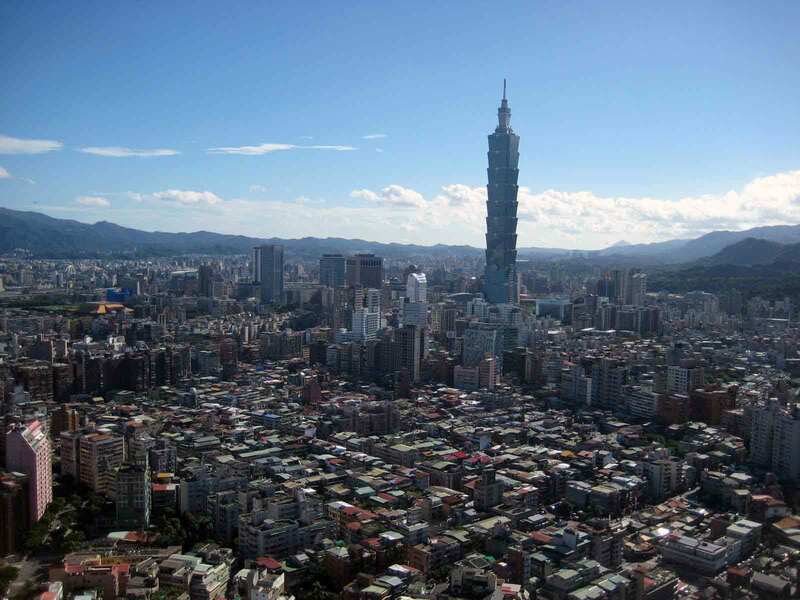 Per capita GDP (2010): $14,344. Agriculture (2.5% of 2010 GDP): Products — livestock production (milk, meat, eggs) and crop production (cereals and legumes, potatoes, forage crops). Arable land — 433,100 hectares. Industry (28.7% of 2010 GDP): Types: engineering, electronics, wood and wood products, and textiles. Services (68.8% of 2010 GDP): Transit, information technology (IT), telecommunications, business services, retail, construction, real estate. Public sector (20.6% of 2010 GDP): Public services, education, healthcare, social services. Trade: Exports (2010): $11.6 billion. Partners — Finland 17%, Sweden 15.6%, Latvia 9%, Russia 9.7%, Germany 5.2%, Lithuania 4.9%, U.S. 3.8%. Imports (2010) — $12.3 billion. Partners — Finland 14.9%, Germany 11.3%, Sweden 10.9%, Lithuania 7.7%, Latvia 10.9%, Russia 8.3%. Currency: Estonia adopted the euro in January 2011. Foreign direct investment (March 2011): Sweden 34.7%, Finland 22.9%, Netherlands 9.6%, Norway 2.5%, Russia 3.8%, U.K. 1.8%, Cyprus 2.9%, Denmark 1.8%, Germany 2.3%, Luxembourg 1.9%, France 1.9%, U.S. 1.9%. Between 57.3 and 59.5 degrees latitude and 21.5 and 28.1 degrees longitude, Estonia lies on the eastern shores of the Baltic Sea on the level, northwestern part of the rising East European platform. Average elevation reaches only 50 meters (160 ft.). The climate resembles New England's. Oil shale and limestone deposits, along with forests that cover 47% of the land, play key economic roles in this generally resource-poor country. Estonia has more than 1,500 lakes, numerous bogs, and 3,794 kilometers of coastline marked by numerous bays, straits, and inlets. Tallinn's Muuga port offers one of Europe's finest warm water harbor facilities. Estonia's strategic location has precipitated many wars fought on its territory between other powers at its expense. In 1944, the Union of Soviet Socialist Republics (U.S.S.R.) granted Russia the trans-Narva and Petseri regions on Estonia's eastern frontier. Russia and Estonia signed a border treaty in 2005 recognizing the current border. Estonia ratified the treaty in June 2005, but Russia subsequently revoked its signature to the treaty, due to a reference the Estonian parliament inserted regarding the Peace Treaty of Tartu. Estonians belong to the Finno-Ugric peoples, as do the Finns and the Hungarians. Archaeological research confirms the existence of human activity in the region as early as 8000 BC; by 3500 BC the principal ancestors of the Estonians had arrived from the east. Estonians have strong ties to the Nordic countries today stemming from deep cultural and religious influences gained over centuries during Scandinavian colonization and settlement. This highly literate society places great emphasis upon education, which is free and compulsory until age 17. About 20% of the population belongs to the following churches registered in Estonia: Estonian Evangelical Lutheran Church, Estonian Apostolic Orthodox Church, Estonian Orthodox Church subordinated to the Moscow Patriarchate, Baptist Church, Roman Catholic Church, and others. As of January 1, 2011, 84.2% of Estonia's population held Estonian citizenship, 8.7% were citizens of other countries (primarily Russia), and 7.1% were of undetermined citizenship. Written with the Latin alphabet, Estonian is the language of the Estonian people and the official language of the country. Estonian is one of the world's most difficult languages to learn for English-speakers: it has 14 cases, which can be a challenge even for skilled linguists. During the Soviet era, the Russian language was imposed for official use. Estonians are one of the longest-settled European peoples and have lived along the Baltic Sea for over 5,000 years. The Estonians were an independent nation until the 13th century A.D. The country was then subsequently conquered by Denmark, Germany, Poland, Sweden, and finally Russia, whose defeat of Sweden in 1721 resulted in the Uusikaupunki Peace Treaty, granting Russia rule over what became modern Estonia. Independence remained out of reach for Estonia until the collapse of the Russian empire during World War I. Estonia declared itself an independent democratic republic on February 24, 1918. In 1920, by the Peace Treaty of Tartu, Soviet Russia recognized Estonia's independence and renounced in perpetuity all rights to its territory. The first constitution of the Republic of Estonia was adopted in 1920 and established a parliamentary form of government. Estonia's independence lasted for 22 years, during which time Estonia guaranteed cultural autonomy to all minorities, including its small Jewish population, an act that was unique in Western Europe at the time. 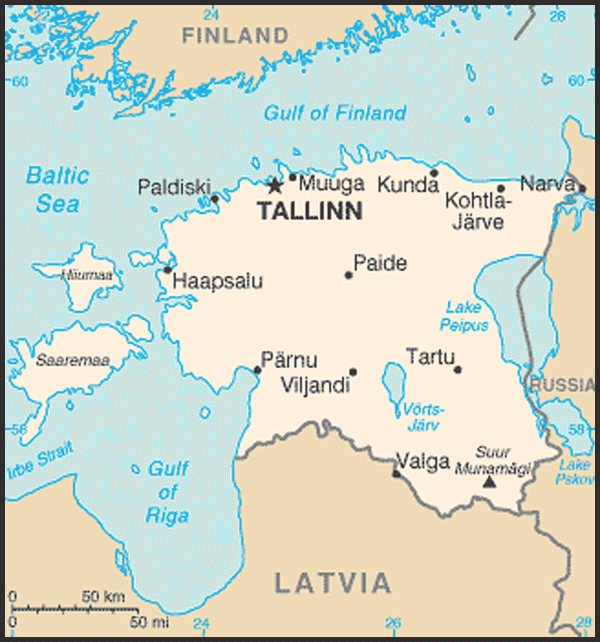 Leading up to World War II (WWII), Estonia pursued a policy of neutrality. However, the Soviet Union forcibly incorporated Estonia as a result of the Molotov-Ribbentrop Pact of 1939, in which Nazi Germany gave control of Estonia, Latvia, and Lithuania to the Soviet Union in return for control of much of Poland. In August 1940, the U.S.S.R. proclaimed Estonia a part of the Soviet Union as the Estonian Soviet Socialist Republic (E.S.S.R.). The United States never recognized Soviet sovereignty over Estonia, Latvia, or Lithuania. During World War II, between 1939 and 1945, through both the Nazi and Soviet occupations, Estonia's direct human losses reached 180,000 residents, which amounted to 17% of its total population. During the Nazi occupation from 1941 to 1944, 7,800 citizens of the Republic of Estonia (70% ethnic Estonians, 15% ethnic Russians, 12.8% Estonian Jews, and 2.2% representing other nationalities) were executed in Nazi prison camps. Of the total number executed during the period of Nazi occupation, an estimated 1,000 were Estonian Jews — or roughly 25% of the pre-war Jewish population of Estonia. Additionally, an estimated 10,000 Jews were transported to Estonia from elsewhere in Eastern Europe and killed there. Soviet authorities conducted mass deportations in 1940-41, 1944, and 1949, with smaller deportations running through 1956. In total, an estimated 60,000 Estonians were murdered or deported by the Soviet Union. Another 70,000 fled to the West in 1944. In the late 1980s, looser controls on freedom of expression under Soviet leader Mikhail Gorbachev reignited the Estonians' call for self-determination. By 1988, hundreds of thousands of people were gathering across Estonia to sing previously banned national songs in what became known as the "Singing Revolution." In November 1988, Estonia's Supreme Soviet passed a declaration of sovereignty; in 1990, the name of the Republic of Estonia was restored, and during the August 1991 coup in the U.S.S.R., Estonia declared full independence. The U.S.S.R. Supreme Soviet recognized independent Estonia on September 6, 1991. Unlike the experiences of Latvia and Lithuania, Estonia's revolution ended without blood spilled. Estonia became a member of the United Nations on September 17, 1991 and is a signatory to a number of UN organizations and other international agreements, including IAEA, ICAO, UNCTAD, WHO, WIPO, UNESCO, ILO, IMF, and WB/EBRD. It is also a member of the Organization for Security and Cooperation in Europe (OSCE). In May 2007, Organization for Economic Cooperation and Development (OECD) ministers invited Estonia to begin accession discussions; Estonia completed the accession process to the OECD in December 2010. After more than 3 years of negotiations, on August 31, 1994, the armed forces of the Russian Federation withdrew from Estonia. In 1992, a constitutional assembly introduced amendments to the 1938 constitution. After the draft constitution was approved by popular referendum, it came into effect July 3, 1992. Presidential elections were held on September 20, 1992, with Lennart Meri as victor. Lennart Meri served two terms as president, implementing many reforms during his tenure. Meri was constitutionally barred from a third term. Arnold Ruutel became president in 2001, and Toomas Hendrik Ilves in 2006. The next presidential election will be in August 2011. Since fully regaining independence, Estonia has had 10 governments with 7 different prime ministers elected: Mart Laar, Andres Tarand, Tiit Vahi, Mart Siimann, Siim Kallas, Juhan Parts, and Andrus Ansip. In March 2011 Ansip was reelected as Prime Minister. Estonia began to adopt free-market policies even before it declared independence in mid-1991 and has continued to pursue reform aggressively ever since. For example, the government set privatization as an early priority and has now completed the process of putting most major industries in private hands. After independence the Government of Estonia took steps to simplify the tax system. Tax evasion is now relatively low by regional standards. Income tax is levied at a flat rate, a principle supported by the major parties except for the Center Party, for which a progressive tax system remains a keystone policy. An integral part of Estonia's transition to a market economy during the early 1990s involved reorienting foreign trade to the West and attracting foreign investment to upgrade the country's industry and commerce. In 1990, only 5% of Estonia's foreign trade was with the developed West; 87% was with the Soviet Union, and of that, 61% was with Russia. Estonia's main foreign trading partners today are Sweden, Finland, Germany and others in the West. Russia's share of Estonia's trade is less than 10%. The introduction of the Estonian kroon in June 1992, with only U.S. $120 million in gold reserves and no internationally backed stabilization fund, proved decisive in stabilizing foreign trade. 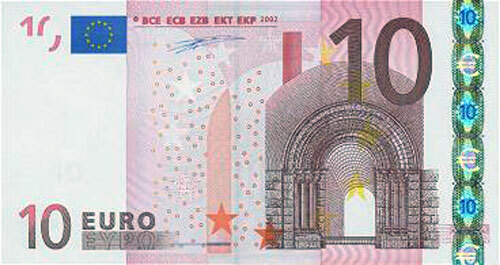 For stability, the kroon was pegged by special agreement to the deutsche mark (DM) at EKR8 = DM1 and later to the euro. The new Estonian currency became the foundation for rational development of the economy. Money began to have clear value; the currency supply could be controlled from Tallinn, not Moscow; and long-term investment decisions could be made with greater confidence by both the state and private enterprise. The central bank is independent of the government but subordinate to the parliament. In addition to its president, the bank is managed by a board of directors, whose chair is also appointed by parliament. The fall of the Soviet Union and the rapid contraction of Estonia's market to the East during the early 1990s caused Estonia's economy to shrink 36% from 1990 to 1994. But economic reforms in Estonia and the ability of its economy to reorient toward the West allowed Estonia's economy to pick up beginning in 1995. Driven by liberal economic policies and fiscal discipline, the Estonian economy grew quickly, at an average annual rate of 8% from 2000 to 2007. The recent global recession struck early in Estonia with the bursting of a large real estate bubble in 2007. GDP fell by 5.1% in 2008 and 13.9% in 2009. In 2010 the economy started to recover with growth of 3.1%. Estonia has developed into a strong international actor through its membership in the EU and NATO; it is a capable advocate and promoter of stability and democracy in the former Soviet Union and beyond. Estonian troops have been in Afghanistan since 2002 and were in Iraq from 2003 through 2008. It participates in the NATO training mission in Iraq. Estonia also provides peacekeepers for international missions in Bosnia, Kosovo, and Lebanon and contributes to EU battlegroups, NATO Response Force rotations, and the EU's anti-piracy operations off the coast of Somalia. It supports democratic developments in key countries of the former Soviet Union and beyond by providing training to government and law enforcement officials as well as non-governmental organizations. It has valuable experience to offer new democracies from its own recent history, and it works hard to promote democracy, freedom, and stability worldwide. From April to May 2007, international cyber attacks targeted government and private sector websites in Estonia, causing significant service disruptions to websites, servers, and routers linked to government, banking, media, and other resources. These highly coordinated attacks captured widespread international media attention. Estonia has taken a leadership role on cyber security within NATO, the European Union, and other organizations, becoming an important player in international cooperation on cyber defense. Estonia hosts a NATO Center of Excellence for Cyber Security in Tallinn. Estonia is a parliamentary democracy, with a 101-member parliament (the Riigikogu) and a president who is elected indirectly by parliament or, if no candidate wins a two-thirds majority in parliament, by an electoral college composed of members of parliament and of local councils' representatives. Estonia holds presidential elections every 5 years. The next presidential election will be in late August 2011. The president serves a maximum of two terms. Parliamentary elections take place every 4 years; members are elected by direct ballot in local districts and by proportional representation. A party must gather at least 5% of the votes to take a seat in parliament. Citizens 18 years of age or older may vote in parliamentary elections and be members of political parties. EU citizens who are 18 years of age or older and registered in the population register may vote in European Parliament elections and if they are registered in a local district population register, they may also vote in local elections. In addition, non-citizen long-term residents may vote in local elections, although they may not run for office. After parliamentary elections, the president traditionally asks the party with the most votes to form a new government. The president chooses the prime minister — usually the leader of the largest party or coalition in the parliament — with the consent of the parliament to supervise the work of the government. The Estonian Government has a total of 13 ministers. At the local level, Estonians elect government councils by proportional representation. The individual councils vary in size, but election laws stipulate minimum size requirements depending on the population of the municipality. Estonia's Supreme Court, the Riigikohus, has 19 justices, all of whom receive lifetime tenure appointments. The parliament appoints the chief justice on nomination by the president. Estonians may vote via the Internet in local, Estonian parliamentary elections, and European Parliament elections. The most recent parliamentary election took place on March 6, 2011. Prime Minister Andrus Ansip's center-right coalition remained in power after a strong victory in the polls. The Reform Party and the Pro Patria and Res Publica Union form the current majority government with 33 and 23 seats in parliament, respectively. Other parties in the parliament include the Center Party and the Social Democrat Party. Reform Party Chairman Andrus Ansip is the current Prime Minister of the coalition government. Toomas Hendrik Ilves is the President of Estonia. He was a member of the Social Democrat Party, a former Ambassador to the United States, two-time Minister of Foreign Affairs, a member of the Estonian parliament, and a former member of the European Parliament. President Ilves narrowly defeated incumbent Arnold Ruutel in an electoral-college vote in September 2006, and he took office on October 9, 2006. Ilves is seeking reelection in August 2011. Estonia maintains an embassy (http://www.estemb.org/) in the United States at 2131 Massachusetts Avenue, NW, Washington DC 20008 (tel:  (202) 588-0101; fax:  (202) 588-0108). It operates a consulate at 600 Third Avenue, 26th Floor, New York, NY 10016-2001 (tel:  (212) 883-0636; fax:  (212) 883-0648). Estonia is considered one of the most liberal economies in the world, ranking 14th in the Heritage Foundation's 2011 Economic Freedom Index. Its 2011 score was 0.5 points higher than in 2010 due to significant improvements in Estonia's monetary and labor freedoms. Hallmarks of Estonia's market-based economy have included a balanced budget, a flat-rate income tax system (the first in the world), a fully convertible currency pegged to the euro (until 2011, when Estonia adopted the euro), a competitive commercial banking sector, and a hospitable environment for foreign investment, including no tax on reinvested corporate profits (tax is not levied unless a distribution is made). Estonia's liberal economic policies and macroeconomic stability have fostered exceptionally strong growth and better living standards than those of most new EU member states. After enjoying 8% average annual GDP growth since 2000, the economy started to show signs of cooling in 2007, followed by a sharp drop in GDP during the global recession. Estonia's economy began growing again in the fourth quarter of 2009 and saw modest growth through 2010. Although unemployment is currently 14.4%, the Estonian Government kept budget deficits low and successfully joined the euro zone on January 1, 2011. 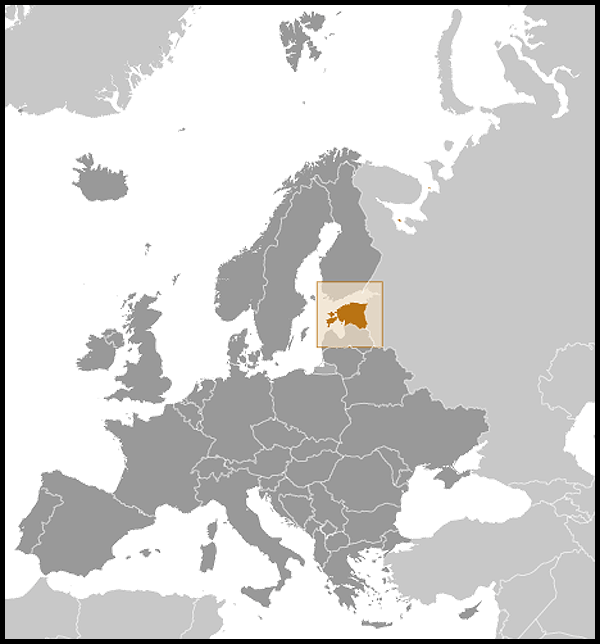 Estonia became the 17th member of the euro zone. The economy benefits from strong electronics and telecommunications sectors; the country is so wired that it is nicknamed E-stonia. Bars and cafes across the country are typically equipped with wireless connections. Skype, designed by Estonian developers, offers free calls over the Internet to millions of people worldwide. Tourism has also driven Estonia's economic growth, with Tallinn's beautifully restored old town a major European tourist destination. Estonia is a net exporter of electricity, using locally mined oil shale to fire its power plants. However, it imports all of its natural gas and most petroleum (roughly 30% of total energy consumption) from Russia. Alternative energy sources such as wood, peat, and biomass make up about 9% of primary energy production, and Estonia is developing wind farms for clean, renewable energy. An undersea electricity cable inaugurated in December 2006 allows Estonia to export electricity to Finland. Estonia and Finland plan to complete a second undersea cable in 2014. Estonia is part of the European Union, and its trade policy is conducted in Brussels. By the late 1990s, Estonia's trade regime was so liberal that adoption of EU and World Trade Organization (WTO) norms required Estonia to impose tariffs in certain sectors, such as agriculture, which had previously been tariff-free. Openness to trade, rapid growth in investment, and an appreciating real exchange rate resulted in large trade deficits from 2000 to 2008. Estonia's economy benefits from its location at the crossroads of East and West. Estonia lies just south of Finland and across the Baltic Sea from Sweden, both EU members. To the east are the huge potential markets of northwest Russia. Estonia's modern transportation and communication links provide a safe and reliable bridge for trade with the former Soviet Union and Nordic countries. Many observers also see a potential role for Estonia as a future link in the supply chain from the Far East into the EU. Estonia's business attitude toward the United States is positive, and business relations between the two countries are increasing. The primary competition for American companies in the Estonian marketplace is European suppliers, especially Finnish and Swedish companies. Total U.S. exports to Estonia in 2009 were $123 million, forming 1% of total Estonian imports. Principal imports from the United States were machinery; photo, medical, or surgical instruments; electronic equipment; and aircraft parts. Estonian exports to the United States were around $439 million in 2009 (3.9% of total exports), making the U.S. Estonia's third-largest export market after the EU and Russia. U.S. imports from Estonia are primarily mineral fuels and oils; electronic machinery; games and sports equipment; and photo, medical, or surgical instruments. Country Commercial Guides are available for U.S. exporters from the National Trade Data Bank's CD-ROM or via the Internet. Please contact STAT-USA at 1-800-STAT-USA for more information. Country Commercial Guides can be accessed at the U.S. Department of Commerce's http://estonia.usembassy.gov/cominfo.html website (http://www.export.gov/mrktresearch/index.asp) and at the U.S. Embassy in Tallinn's website at (http://estonia.usembassy.gov/cominfo.html). They also can be ordered in hard copy or on diskette from the National Technical Information Service (NTIS) at 1-800-553-NTIS. U.S. exporters seeking general export information/assistance and country-specific commercial information should contact the U.S. Department of Commerce, Trade Information Center by phone at 1-800-USA-TRAD(E) or by fax at 1-202-482-4473. Estonia's regular armed forces — the Estonian Defense Forces — in peacetime number about 3,800 persons (Army 3,300, Navy 300, Air Force 200), of whom about 1,500 are conscripts. The Minister of Defense is the Commander in Chief of the Estonian Defense Forces. Estonia officially became a member of the North Atlantic Treaty Organization on March 29, 2004 after depositing its instruments of treaty ratification in Washington, DC. The United States and Estonia cooperate intensively in the defense and security field. The Government of Estonia has expressed a firm commitment to meet the NATO goal of spending 2% of GDP; its current defense budget is 1.86% of GDP. In 2010, Estonia had over 300 military personnel deployed to support UN, NATO, and coalition military operations around the world. That number represents 9% of Estonia's military, a good indication of Estonia's willingness and ability to contribute to global security. Estonia currently has troops in Afghanistan, Kosovo, Bosnia, off the coast of Somalia, and in Lebanon, and participates in the NATO training mission in Iraq (NTM-I). Estonia is party to most major international organizations. It is a UN, EU, and NATO member and a strong ally and partner of the United States on all fronts. It is deeply committed to good transatlantic relations and to promoting democracy and free-market economic policy globally. In the EU, Estonia's priorities include supporting continued EU enlargement; raising EU competitiveness through innovation; developing a unified European energy policy; enhancing and fostering the European Neighborhood Policy; and improving the EU relationship with Russia. Estonia has active development assistance programs in many of the former Soviet countries (with a focus on Georgia, Ukraine, Belarus, and Moldova), as well as in Afghanistan. The relationship between Estonia and the United States of America has been constant and strong since Estonia first became independent. The United States and Estonia are important allies and partners. The United States recognized the Republic of Estonia on July 28, 1922. The first Estonian diplomatic mission in the United States was opened in the same year. It continued its activities throughout the period of occupation by the Soviet Union from 1940 to 1991. The U.S. Government recognized Estonia's diplomatic mission as a legal representative of the Republic of Estonia. Indeed, the recognition of the legal continuity of the Republic of Estonia has been the cornerstone of Estonian-U.S. relations. The U.S. reopened its Embassy in Tallinn on September 4, 1991, soon after the restoration of Estonia's independence on August 20, 1991. Relations between the two countries have since developed at a rapid pace. In November 2006, President George W. Bush became the first sitting U.S. president to visit Estonia. Estonia joined the U.S. Visa Waiver Program on November 17, 2008, increasing security while facilitating entry for legitimate visitors and business people from countries like Estonia. Vaino Reinart has been Estonia's Ambassador to the United States since 2007, but will be replaced in 2011 by Marina Kaljurand. Estonia also is represented in the United States by a Consulate General in New York and Honorary Consulates in Los Angeles; Chicago; New Hampshire; Seattle; Houston; Phoenix; Lincoln, NE; and Charleston. The U.S. Embassy (http://estonia.usembassy.gov/) in Estonia is located at Kentmanni 20, Tallinn [tel. (372) 66 88 100].